Do you ever walk through the market and see weird stuff and wonder…”what do you do with that?” or “Who in the world eats that stuff?” Well, I do. And sometimes I pause and look it over and try and figure out what I would do with it! 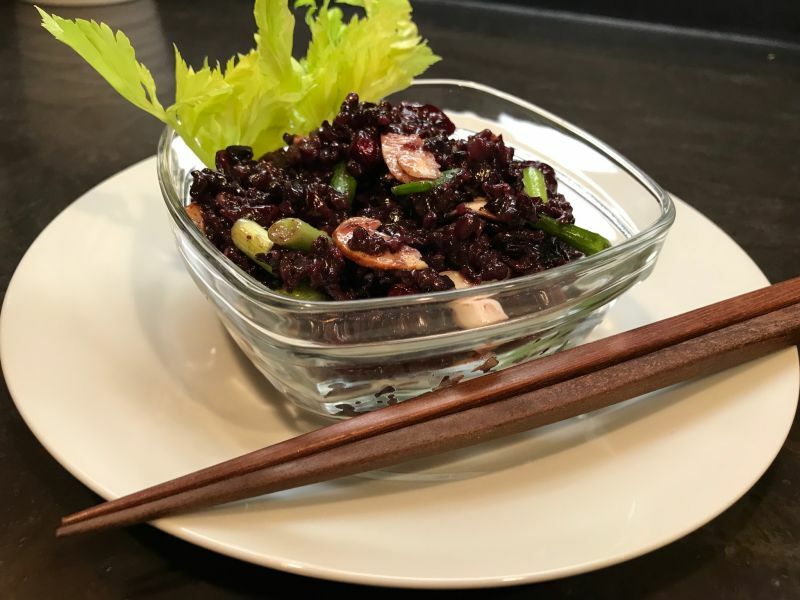 I am always trying to find a new side dish…something other than salad or rice or potatoes, and recently I discovered Black Rice. Seriously. BLACK rice! A little investigation revealed that it is high in antioxidants, as well as Vitamin E and fiber. Now who doesn’t need more of that? This rice also had a little surprise for me when I cooked it. It looks black when you start, because it has a dark bran layer that covers it. 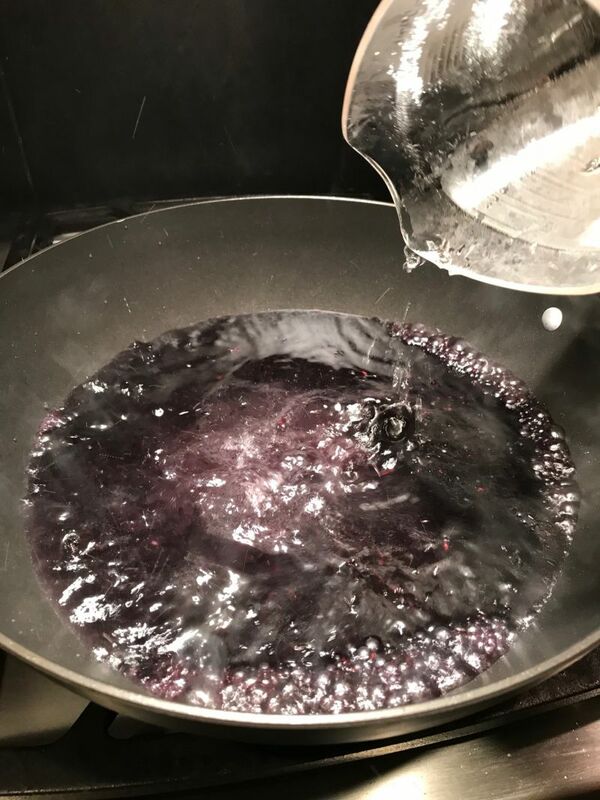 When it is cooked, however, that covering comes off and the rice turns to a deep, dark purple! 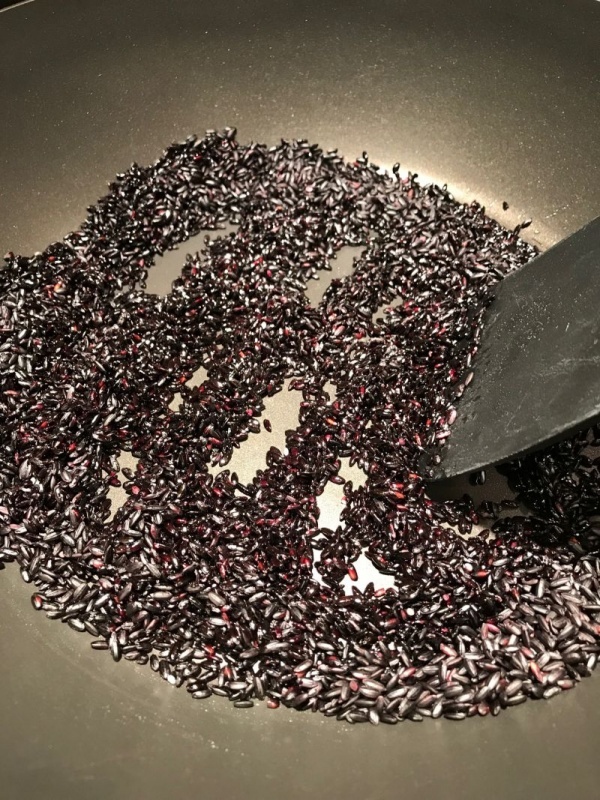 After seeing that, I understood why black rice is sometimes called “emperor’s rice,” as purple is the color of royalty. 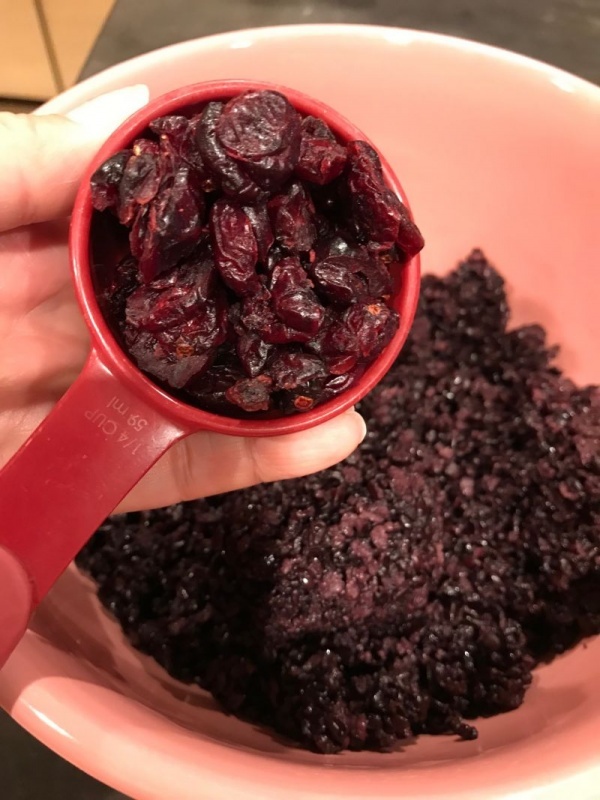 California Girl comments: The combination of the nutty flavor of the rice, and the tang of the dressing along with the sweet of the cranberries makes this a perfect side dish that will dress up any weeknight dinner or a fancy dinner party. Yummy! So give this a try! I found it quite delicious, and a wonderful side dish for baked or grilled fish. It is delicious cold, but also quite good at room temperature! Plus, it gives you a chance to use the rest of the cranberries you purchased to make those yummy cranberry blissful bars! 1. Heat the oil in a medium saucepan or skillet on medium heat. 2. Add the raw rice and toast it in the hot oil for about 2 minutes. 3. Add the hot water carefully to the toasted rice in the skillet, bring to a boil and then reduce heat to simmer and cover. Cook for 30-40 minutes or until rice is tender. 4. Remove the cooked rice from the pan, and place in a large bowl to cool. 5. Once the rice is cooled, add the salt, almonds, cranberries, onions and ginger. Toss gently until well mixed. 6. 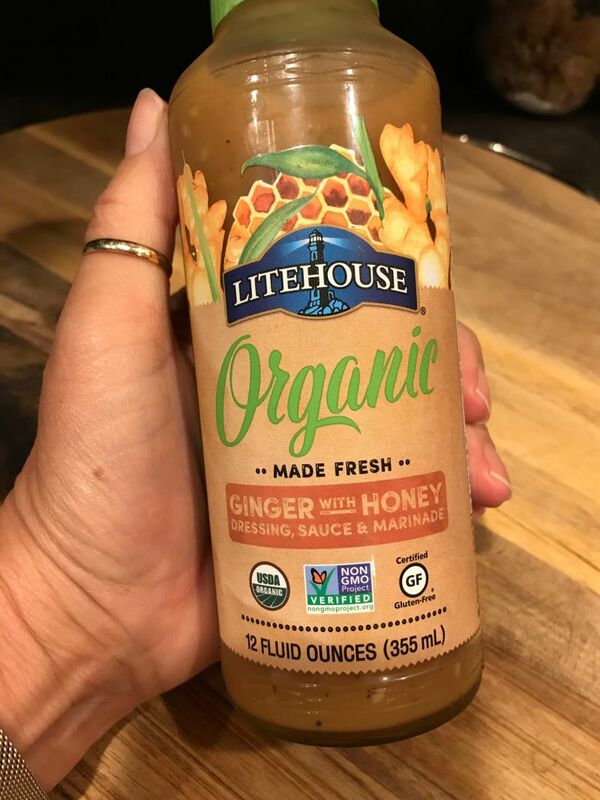 Fold in the Ginger dressing to taste. 7. Garnish with a small celery heart spear. This is a hearty side dish, and is equally as good the next day! Woah! 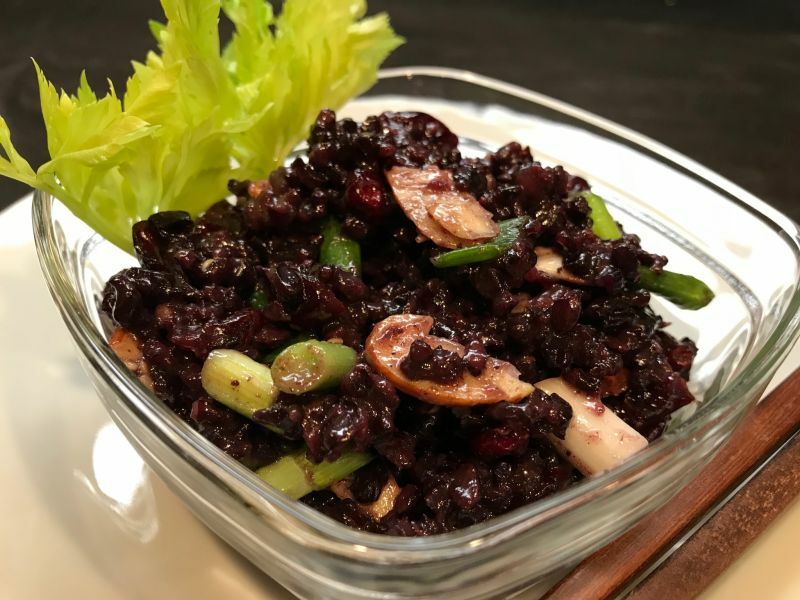 I’ve never had black rice before but I will definitely give it a try now! We always have potatoes or salad or regular rice, so switching it up is always good! 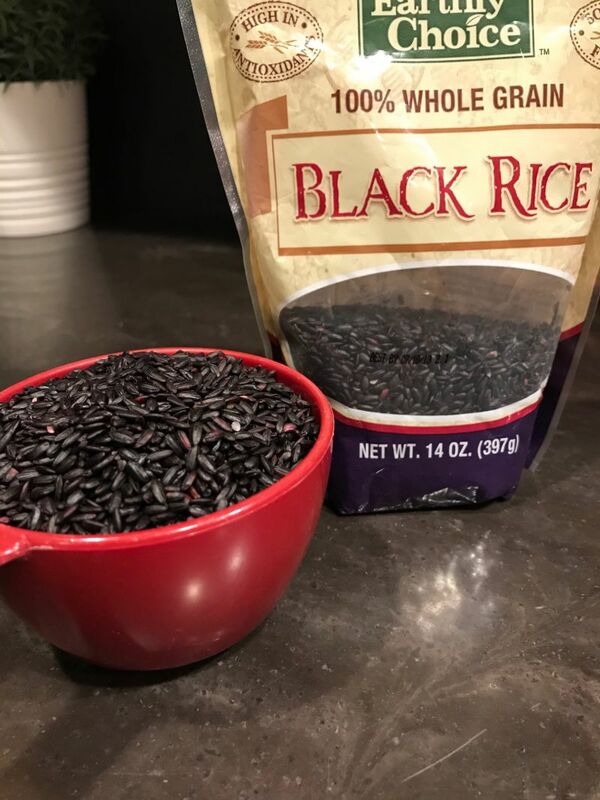 I am excited to use this black rice in other ways as well! Using in a stir fry sounds exciting to me, so that’s my next try! It sounds like you and I have the same adventurous spirit when it comes to cooking! Wow! Looks and sounds incredible, I’ll have to track down some of this fantastic sounding rice!